Use wisdom in what you ask for in prayer, and it is more likely to be granted to you. At the time of writing (12 September 2018), the East Coast of the US is readying itself for the onslaught of Hurricane Florence, a massive hurricane threatening to land on the coast of North and South Carolina, bringing 140+ mph winds and up to 2 1/2 feet of rain, and the anticipation of enormous destruction and almost certain loss of life. We’ve seen various Prayer Boards around the country light up with requests for prayers, and/or with posted prayers, hoping that by prayer and God’s will the hurricane might be turned around. Some of the posted prayers have been well written, but some, while well-intentioned, are unlikely to be answered. Which brings us to the topic of this message. What should we be praying for? Let’s step back for a minute and first think about the example of weather related prayer in general. Every day, somewhere on the planet, there is bad weather forecast. Almost surely, in every case, some people of good Christian faith are threatened with potential calamity if that bad weather occurs. And, as we know from weather records, bad weather does occur. Indeed, it isn’t just brief periods of localized bad weather. Large regions have been enveloped in drought for years (ie Australia) destroying farmers’ livelihoods, raising the price of primary produce for the entire country, and so on. Even on a more mundane level, we have personal experience of other events such as outdoor Christian weddings that have been rained out. Now, it seems highly likely to us that there have been people praying for all this bad weather to be averted or to be ended, for the wedding not to be rained out, and so on. To be blunt, those prayers were obviously not answered. Imagine if prayer really could control the weather. No more rained out sports games, indeed, no more getting wet when going to the mailbox. Days would never be too hot, nor would they ever be too cold. Although, there’s a thought. What actually is the perfect day? A farmer might be praying for rain while a holiday-maker might be praying for a sunny warm dry day. A skiier might be praying for snow, a motorist might be praying for clear passage through the mountains. Would we have “duelling prayers”? And that’s a clue for us to consider. We have no grasp of God’s complete plan. Maybe the rained out wedding simultaneously averted some more serious crisis or disaster. Maybe the country-wide multi-year drought is encouraging Australia to change its economic base to something that will cause it to prosper more greatly. Maybe an earthquake that destroys 10,000 homes and kills 25,000 people causes the affected country to come out with better building standards so a future disaster that would have destroyed 100,000 homes and killed 250,000 people is averted. Here’s another example. When I was a boy, I desperately wanted a dog as a pet. My parents refused for many years until I was in my mid-teens. I pleaded with them, I sulked, I offered to do all sorts of chores in return, I promised to look after the dog entirely by myself, even to find a job to pay for its food, but they never said yes until I turned 15. I felt very unfairly treated, even very unloved, but in later life, I recognized that while I would have liked a dog, no way was I mature enough to accept the responsibility, day in and day out, and the burdens, of owning a medium/large size dog. My parents knew better than me, and just because I desperately wanted something didn’t mean I should have it. But how could they have politely told me I wasn’t mature enough? How could they have explained that to a 12 yr old who lacked the life-experience and comprehension to understand their experienced perspective and wise decision? 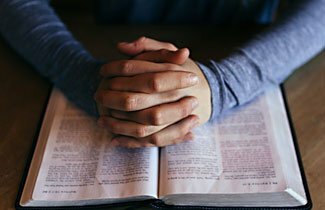 For these reasons and considerations, we suggest you should seldom pray for specific events, because you’re only seeing one very small part of the broader plan, and while you might see a certain outcome as being good for you right now, you have no idea of the broader context of the rest of your life, and the rest of God’s plan. Dear God, I know that nothing happens without your knowledge and consent, and so I accept there is a purpose behind (the storm/whatever other threatening thing). I am your faithful servant and follower and if my suffering can assist your plan, I will of course accept whatever you wish for me. But if it is at all possible to spare my family and myself from the worst effects of (the storm, etc) without harming your plan, that would be greatly appreciated. As you know (something about your present situation and the harm this event would cause you) and so your kindness really would make a big difference in our lives. As always, my thanks for the salvation of your Son and my Savior, Jesus Christ. Amen. Something like that doesn’t presume to know better than God does about what is best for his total plan, or even what is best for you. But it does respectfully ask for his help within the structure of that broader plan. Dear Lord, as You know, I really want the promotion at work that I applied for. As You know, the extra seniority and the change in work conditions would be very helpful to me and my family because (reasons why) and this would also help me better follow You and support Your causes. I don’t know Your plan for me, but if it is possible to include this promotion into Your plan, it would be very much appreciated, although if there is a better way I can serve you and care for my family, of course I accept your wisdom and plan. As always, I appreciate Your love and the salvation of Your son, Jesus Christ. Amen. The key thing is to recognize that God’s plan for us and for the world is truly mysterious and beyond our comprehension. He loves and cares for us; if it is possible for him to make a tweak to his plan and respond positively to our requests, he may do so. But it is not polite or proper to ‘put him on the spot’ by asking for a specific thing. How about one last example. Imagine being in a strange city for the first time, in a taxi being driven by an honest and knowledgeable driver, taking you from the airport into the city, to your hotel. You come to an intersection, and he signals to turn right, and you say to him “No, I want to go straight ahead because that is a nicer looking road”. But you have no way of knowing what either road will be like around the next corner, what the traffic ahead is, or which route overall is shorter and quicker to your destination. It is the same when praying for specific outcomes. You’ve no idea, if you are asking for a specific outcome, if the alternative that God otherwise has planned for you might not be vastly better. Back to the taxi driver. You could say “That’s a really nice looking road straight ahead, if it is about the same to go to the hotel that way, maybe we go that way instead”. Similarly, when asking God for His help, you certainly can tell Him what seems like a good outcome, but leave it to Him to choose best for you. And don’t second guess whatever His response may be. Dear God, we gratefully acknowledge Your supremacy in all things, and Your infinite wisdom. Please, in Your graciousness, grant us a measure of further understanding so we can better communicate with You, and better accept Your plans for us as they unfold. As always, we stand humbled and grateful before You, joyously saved by Your Son and rejoicing in Your love. Amen.